Explore the exciting world and go on the adventure of Ninja. 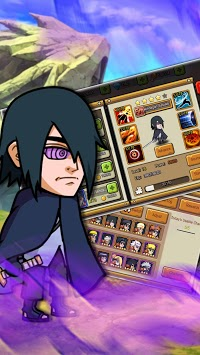 Experience the ninja adventure by going on difficult S rank missions, learn the ultimate Jutsu and become the strongest Ninja. Build the strongest Ninja Village, becoming the next Leader by winning in this epic multiplayer battle. Over 8 Million players, fighting to win Rank 1 daily, make your mark now! With hundred of special Storylines and forbidden technique, making the battle more intense than ever! Use Real-time strategy to beat your opponent, plan and devise strategies to take down your opponent! Prepare for the biggest Ninja War in the history and become the Legendary Hero! Download now for FREE! 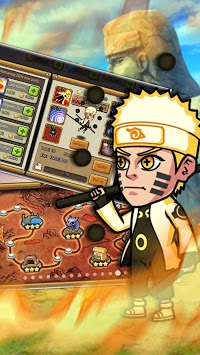 The MOST ANTICIPATED Ninja theme role-playing game for the Android! 50+ popular shinobis and Ninja x heroes to be summoned and trained! You will be the most powerful Ninja fighter ever and keep training to become the strongest Leader! Come, Recruit and build the legendary team unmatched to 4th Leader! Go on S rank mission and hunt down these Tailed Beasts to get legendary treasure chest. Equip and upgrade all Ninja heroes to be the strongest! Train your team and join the most powerful guild to complete the missions. 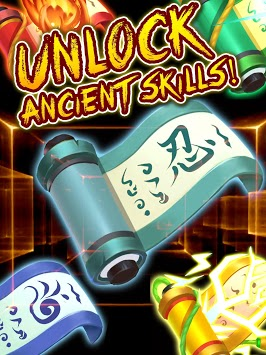 Collect equipment to upgrade your heroes into the ultimate fighters and beat others in Ninja clash. You are not alone! All Ninjas will join you as ultimate avengers for fighting in shadow war. Invite your best friends to join you in the slash legend. Your enemy grows fast! The monsters await you!